“Mix CD” just doesn’t have the same ring. Audio cassettes were created in 1962 by the Philips company. They were more convenient than vinyl records, so became the go-to audio format of the 80’s. Cassettes made recording music and speech easier than ever. They were small, portable, and easy to play in a boom box or car stereo. Recording artists could offer even more songs per album. People could easily record their favorite songs from the radio. They could practice speeches or record messages to include in gifts. With the invention of the CD, audio cassettes became less popular. Cassette players are harder to find. Cassettes are easily damaged by heat, dust, and those pesky players that loved to “eat” and ruin your favorite tapes (remember the careful “surgery” it took to fix an unraveled cassette?). Tape becomes brittle and can tear, or even stick to itself and become unplayable. We treat cassettes like the Kings of Audio they were in the 80’s. 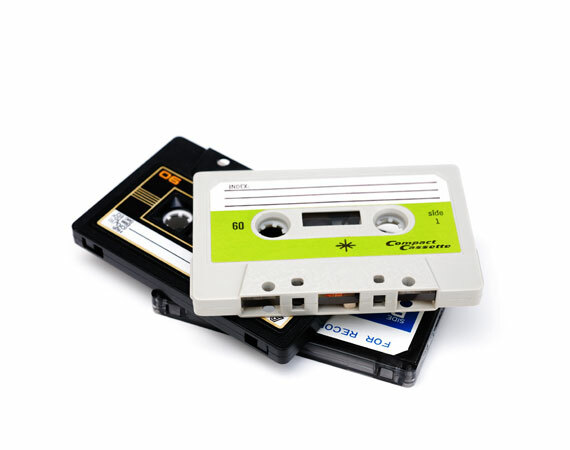 We transfer your audio cassettes to CD or digital file using our industry grade capture equipment. Whether you want to listen to your favorite mix tape, or remix that song you recorded long ago, LA Video Transfer Service can help you choose the right format for your project.